Amazon, the company that started out selling books and is now an entire mall, could soon be a major player in digital advertising. Until now advertising has been somewhat of an afterthought but there are signs that the company is now getting serious about monetising its customers and brands’ desire to communicate with them. Earlier this month the company pitched its offer to UK marketers at its first IAB Upfront session. It offered advice to ensure better performance without advertising as well as the power of its data for identifying lookalike purchasers but the verdict of marketers was cautious, particularly where they didn’t already sell on the platform. There’s no doubt the ad business needs a challenger to the duopoly of Google and Facebook, which have been hoovering up a bigger and bigger share of additional digital advertising in recent years. Others have been here before, of course, notably Snapchat last year but Amazon promises to be a much more successful challenger, not least because Facebook can’t simply copy and degrade its business. Amazon has all the ingredients to be a successful ad player. It’s got loads of first-party data about consumers and permission to use it. It has the tools to understand how and why we make our purchase decisions and can optimise against this both for its own success and for advertisers, offering brands opportunities to promote their products through ‘sponsorships’ (these will be the new in-store media. Think digital shelf-wobblers). It’s also increasingly the place where consumers start their purchase journey – an estimated 50% of product searches now start at Amazon, not Google in some categories according to Bloomberg, even if they don’t end it there. Its success in installing Artificial Intelligence into our homes (which we’ve paid for the privilege) via the Alexa interface has also given it a powerful stake in voice search. But until now Amazon hasn’t really appeared that interested in advertising. 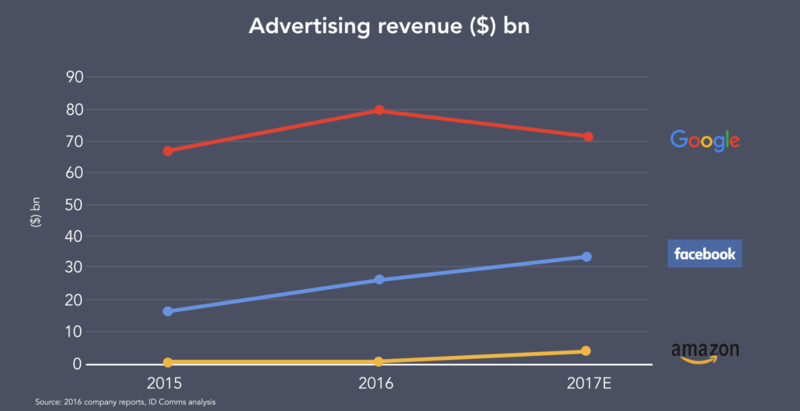 It has worked to secure promotional budgets and estimated ad revenue could hit $5bn in 2017 but Google’s ad business remains 20 times bigger than Amazon’s. As its activity in the UK demonstrates, it now looks like it’s serious about plucking the low hanging fruit that is its ad potential – ad business margins are 20-30% compared to around 5% for retail goods and will require far less capex than holding stock or building warehouses, movie studios and rocket ships. Development of self-service tools for advertisers, including those for the key headline search ads, is in full swing, combined with the introduction of new Amazon Store brand pages are likely to boost budgets. The pitch further appeals to two factors currently in the thoughts of marketers everywhere. Firstly, the world has become more short term. Advertising on Amazon allows them to drive sales. It also offers a totally brand safe environment, with none of the issues surrounding YouTube. We are only at the first stage of the process however and what’s likely to drive Amazon’s advertising potential is the company culture. Amazon as a company works typically on a zero-profit model, with execs focused on delighting customers. They have been successful because they are 100% market oriented. 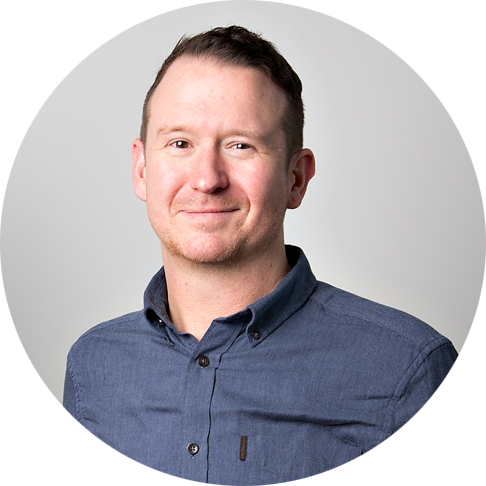 In the ad business this approach opens up huge opportunities for a digital ad business that can address the myriad pain points of the average marketer and can be truly trusted. Amazon has been very good at seeing markets ripe for disruption; watching, learning and only then disrupting. There is certainly scope for a truly disruptive player in the digital ad business and Amazon will have learned from the mistakes of Google and Facebook. I hope it sees the opportunity to reject the walled-garden approach and instead offer advertisers a fully transparent digital advertising model that works fully in the customer (marketer’s) interest. If Amazon’s future advertising offer evolves in a way that is collaborative and transparent, then growth could be very rapid indeed. 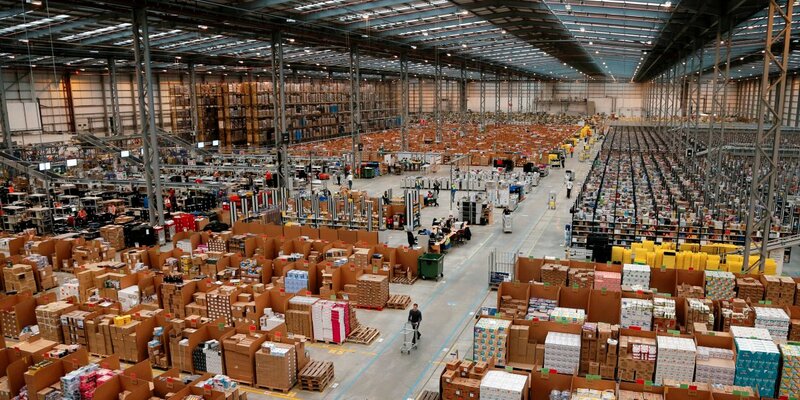 The third and really most significant pillar to success (you might call it the killer pillar) is Amazon’s zero profit model. It famously focuses on reinvesting almost all profit back into the business. For the ad business that means cheaper media prices, better service, better technology and better advertiser tools. While Google and Facebook are reporting double digit profit, Amazon’s policy of reinvestment gives it massive competitive advantage. Right now, ad revenue is just 1% of Amazon’s total but if it can deliver the right offer to advertisers than the potential is pretty much unlimited. We may be starting to see early signs of Facebook’s success levelling off. Get the above combination right and I think Amazon has the potential to overtake Facebook in ad revenue by 2020. There’s a lot of money in those digital shelf wobblers it seems.